Tomorrow I'll dive into my ten best beers of the year, but today I'll dish out some category-specific awards as an appetizer. There were plenty of beers I loved this year, some I'd had before, some I hadn't. I tried to reserve the top ten spots for beers I had not had prior to 2008, with a couple exceptions. I had a hard time settling on ten favorites, especially after creating a rule that the same brewery wouldn't be represented more than once. So those beers that just missed the cut or got edged out on a technicality will have their day now. These are beers that I've had plenty of times and never disappoint, but didn't make the splash that the new-to-me gems did. I've made no secrets that my favorite beers are ones loaded with hops. Dry-hopped, wet-hopped, Cascades, Centennials, Columbias, Sterlings, you name it. Best Aroma: Two Brothers Cane and Ebel. Red rye beer with Thai palm sugar uses Summit hops and is dry-hopped with Simcoe. After opening the bottle I thought this could be the best beer of the year. Was really good, but not as good as the smell indicated. Best Local Draught Staple: Summit EPA. 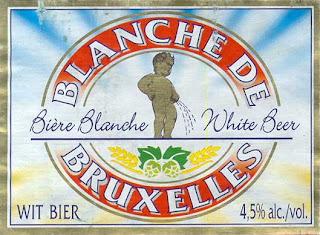 Can find this almost anywhere in the Twin Cities and it's something almost every beer drinker can enjoy. Best Twin Cities Brewpub Beer: Plenty of options here: Barley Johns in New Brighton, Great Waters in St. Paul, Herkimer, Rock Bottom and Town Hall in Minneapolis. The nod here goes to Town Hall's Masala Mama IPA, which has a more subtle citrus flavor, but a huge dry pine finish. Best Holiday Beer: Anchor Christmas 2008. Gets the edge over Rogue's Santa's Private Reserve because of its unique aroma and flavor: dark deep fruits, almost like a mincemeat pie in a glass. Best Summer Beer: Surly Bitter Brewer. Quenching and chuggable with a few hops thrown in. Really smooth. 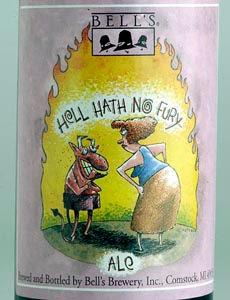 Best Label: Tie between Bell's Hell Hath No Fury and Blanche de Bruxells of Brasserie Lefabvre.